Here is an event that I would recommend you to attend: Social Media Changing Lives organized by AUB’s Online Collaborative. 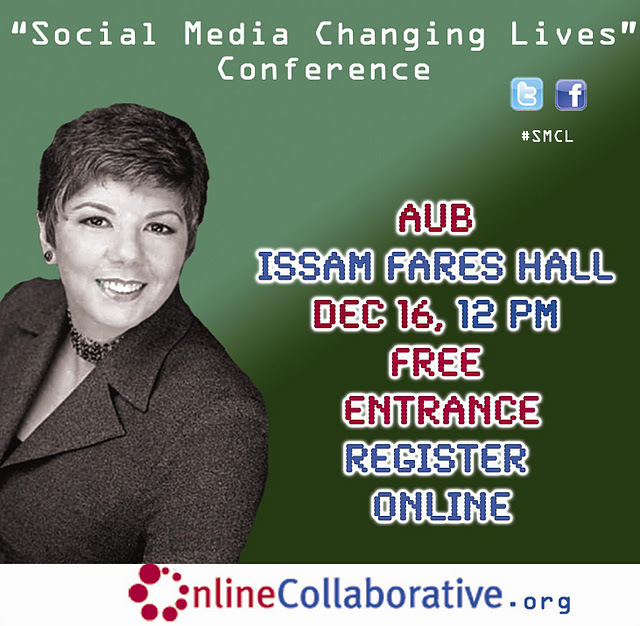 A very interesting event taking place this Friday, December 16th from 12:00PM to 9:15PM at Issam Fares Hall, American University of Beirut during which a lot of great speakers will talk about the use of Social Media in different fields such as politics, humanities, business, education, arts etc. Posters are all from the SMCL Facebook event page. Next Post What Can You Do With 15$ Worth of Facebook Ads?